Alex Chilton, his band Big Star, and the members of The dB's crossed paths many times, especially in the 1970s and '80s (see this page that spells out these connections). 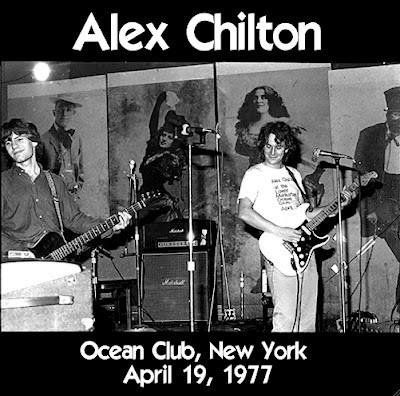 Here, I'm posting two live shows from 1977, the year Chris Stamey played bass in Alex's backing band (sometimes billed as The Cossacks). BIG THANKS to the original tapers & uploaders — whoever you are. 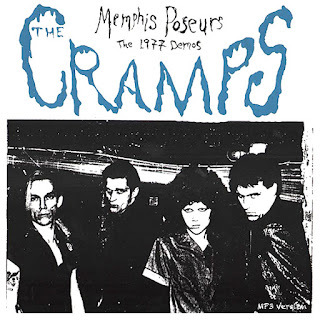 This one's fairly common in trading circles -- perhaps because it has the best sound quality of the surviving 1977 shows, plus an energetic performance. Stephanie Chernikowski took the photo above, on the front cover. 1-6: What's Behind the Mask? ROB SEZ: I've covered quite a bit of the Alex Chilton / Big Star story over the years via many ROIOs. 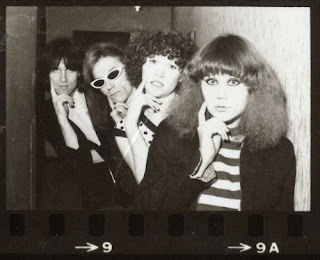 Now we bring you an odd little chapter that's not yet been featured: Alex producing The Cramps in 1977. 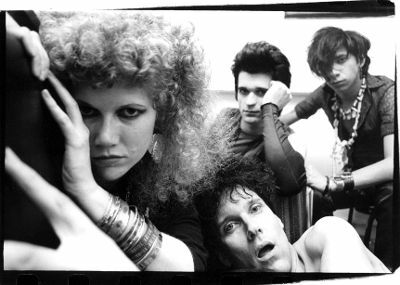 Thanks to fanatical Cramps collectors, here are the (nearly) complete demos & studio outtakes from The Cramps' Chilton sessions in Memphis in 1977. (I left off a few duplicative takes of "What's Behind the Mask" — how many of those do we need to hear in one sitting, anyway??) 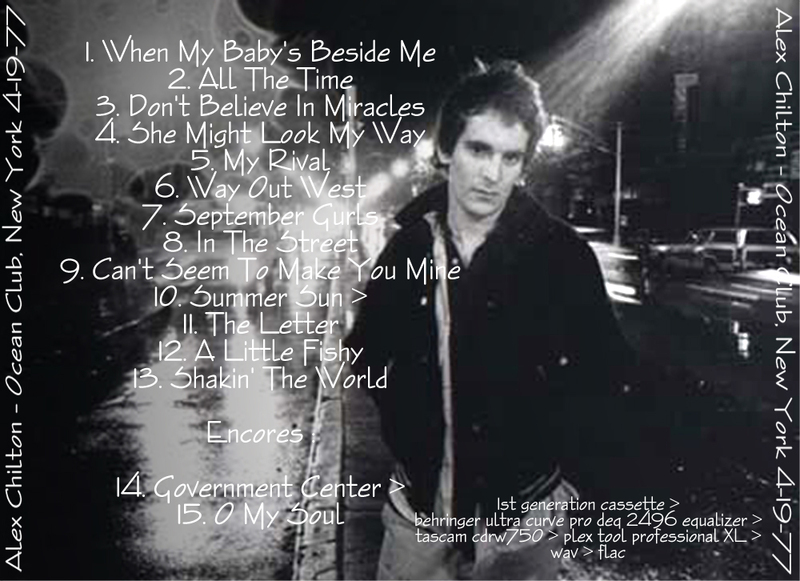 The Chilton sessions led to the 1979 Gravest Hits EP & full-length Songs the Lord Taught Us, released in 1980. 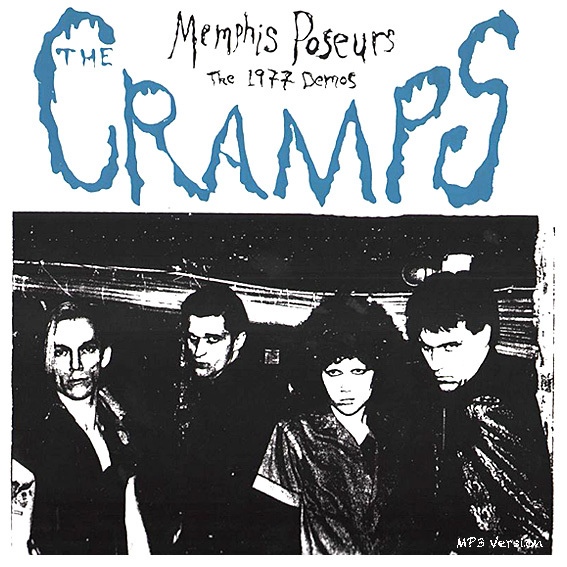 The Cramps aren't really my thing, but I can't deny there's a good bit of ghoulish, primal "rawk" fun to be found here. Enjoy. A seasonal song for the coming of autumn, and a sequel, after 41 years to my "Summer Sun" (Ork Records, 1977). With John Teer from Chatham County Line (fiddle & mandolin), Peter Holsapple (harmonies), Dan Davis (drums), Jason Foureman (acoustic bass). Thanks to Jeff Crawford for production assistance on this one! ALL PRAISES to Fantom for alerting me.